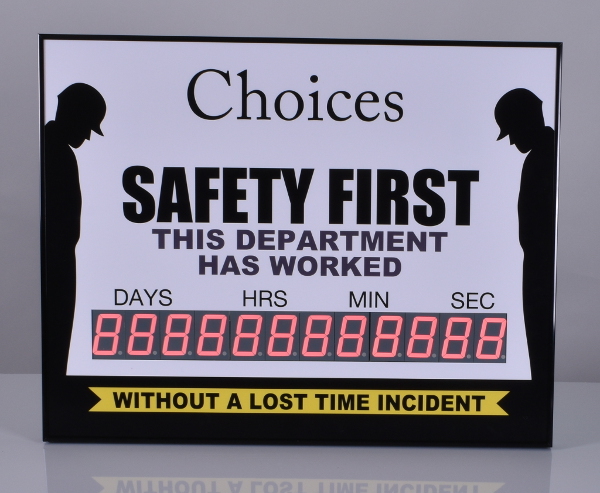 Grab more attention with this unique safety scoreboard that displays the days, hours, minutes, and seconds that have elapsed since your last accident. Accidents in the workplace are dangerous and lead to lost time and reduced productivity. Help raise awareness with this 22" high by 28" wide safety scoreboard. The counter on this sign is not like any others on the market. 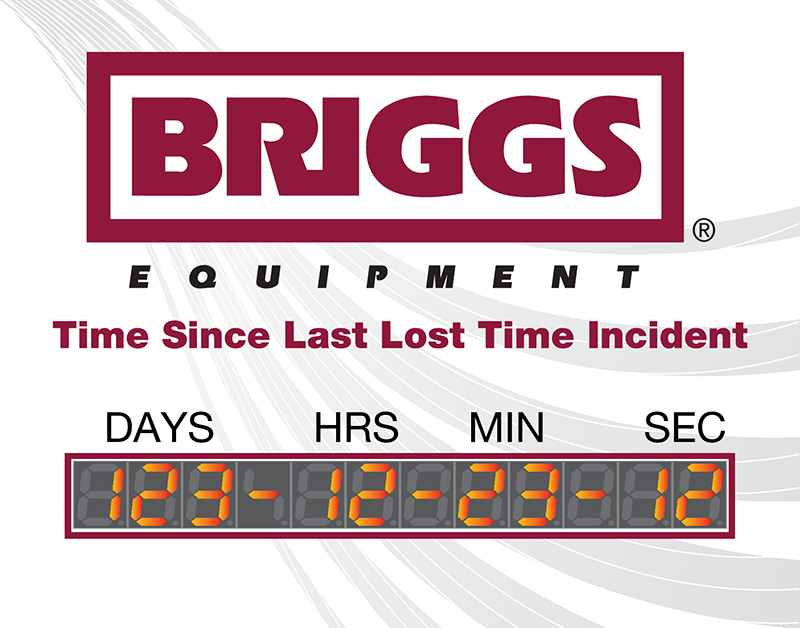 The twelve 2.3" bright led digits display not only your safe work days count but the hours, minutes and seconds since your last lost time accident. The second and minutes ticking by provides a unique visual that helps capture attention. The module allows you to count by increments other than one every second, minute, hour, or day. You can use this display to count man hours worked, seconds until a project deadline, or any number of metrics unique to your business. The logic is simple. Tell the sign how often you want to count (second, minute, hour, day), what direction to count (up, down, don't count), and how much to count by (0 to 65,000). Next simply set the current count, and the counter will begin following your instructions.